For Surgeons, BPCI-Advanced Offers New Opportunities for Improved Patient Outcomes, Better Financial Rewards | Surgery. Better. While reaction among providers to the formal launch of the Centers for Medicare and Medicaid Services (CMS) BPCI-Advanced has varied widely, surgeons reviewing the details of the risk-based program may find there is a lot to like. Surgical fees for procedures performed under BPCI (Bundled Payments for Care Improvement) Advanced could be as much as 150% of standard fees, with additional bonuses if the surgeon assumes risk and costs are below the CMS target prices. Surgeons that embrace best practices, educate their patients and adopt systems that closely monitor their patients in the post-acute care environment could generate several thousand dollars per case. Underlying the push into BPCI-Advanced are the encouraging results reported by Medicare in its review of its largest nationwide bundled payments program, the original BPCI. Medicare reports that participation in joint replacement bundles has achieved a 3.8% decrease in spending per episode with attendant stable-to-improved quality. Even more compelling is other data evaluating BPCI high performers who showed up to a 20% cost reduction in bundled joint replacement episodes with significant improvements in quality. Physicians demonstrating this level of performance received substantial bonuses for their successful participation in BPCI. Medicare’s reported successes with bundled payments under the original BPCI may prompt surgeons to dive into the details of BPCI-Advanced. They will find the program is best suited to healthcare organizations with experience in successfully managing risk in the episode of care setting. These organizations, termed “conveners” by CMS under BPCI Advanced, are charged with assembling the bundle, from pre-op all through downstream care, and managing it through the 90-day continuum of care as set forth in the BPCI guidelines. Both individual physicians and group practices can be conveners. For years, many healthcare experts have contended that attending physicians are most knowledgeable and best positioned to quarterback the bundle through the episode of care. BPCI-Advanced gives physicians who consistently deliver great outcomes the opportunity to be rewarded. As experience with healthcare bundled payments has demonstrated, providers working together under a bundled payment plan are likely to more closely align their efforts to benefit the patient, and more efficiently deliver their services. Under the BPCI-Advanced model, there are a total of 32 different types of cases, 29 of which are inpatient. To set benchmark pricing targets by procedure or clinical episode, CMS uses national, regional and the providers’ own historical data. Patients are risk-adjusted for severity of illness. The convener analyzes raw data produced by CMS utilizing internal expertise or, more commonly, if the convener is a provider (i.e., group practice), retains an analytics company to review the raw data produced by CMS. The analysis reviews the total utilization and cost by provider establishing national, regional, local and individual benchmarks including the post-acute care process, comparing all participating physicians to determine cost averages for the participating physicians. Based on this data, CMS sets a target price of 97% of the expected actual cost for services adjusted for inflation. If the convener and associated providers exceed the target cost, they pay a percentage of the overage. If they generate greater efficiencies and undercut the target cost, they share in the savings. Thresholds and ceilings eliminate outliers and limit the amount of retained savings or risk. Why take on the risk? The obvious answer is for the reward. But there is more. For conveners and providers who understand their business, who excel at delivering professional services, BPCI-Advanced is a way to shine professionally, increase earnings and, most importantly, deliver better outcomes for patients. How to manage the risk? You begin with a convener experienced in successfully managing at-risk models. From that experience, conveners know that they must follow the wisdom of an ancient Chinese proverb: Take care in the beginning. Successfully executed healthcare bundles initiate care long before the delivery of the actual surgical procedure. Detailed care plans, developed in coordination with all providers, from the surgeon to the post-operative home care providers, are essential. It is during the development of the care plan that risk assessments are made based on the patient’s co-morbidity, with detailed strategies to address and offset specific risk factors. A key to the development of the care plan is establishing mechanisms for coordinating care among all providers and identifying appropriate postoperative monitoring of the patient. The patient is part of the care plan from the outset of the episode of care. Patients are counseled to set their expectations so they can anticipate, step-by-step, how they will progress through the process from pre-op through to full recovery. For example, in the case of a joint replacement, patients may be counseled to lose weight or exercise to build strength where needed. For surgeons, as previously noted, there is the opportunity to earn up to 150% of surgical fees plus participate in the savings pool if they are a convener. This is the reward incentive for participating in the program. Of course, there is risk. When total costs exceed the target, conveners are invoiced retrospectively for their portion of the overage. Physicians must be willing to work as a team, to adopt best practices and standardize the selection of post-acute care entities that deliver the greatest value. Care coordination and a commitment to BPCI-Advanced procedures and best practices as outlined by the convener are required. For its part, the convener orchestrates the entire episode of care, performs the analytics and employs a full-time clinical care coordinator (typically an RN) who, ideally, through state-of-the-art digital technology such as electronic monitoring, Facetime and text messaging, is able to track patient progress based on the care plan created for the patient. 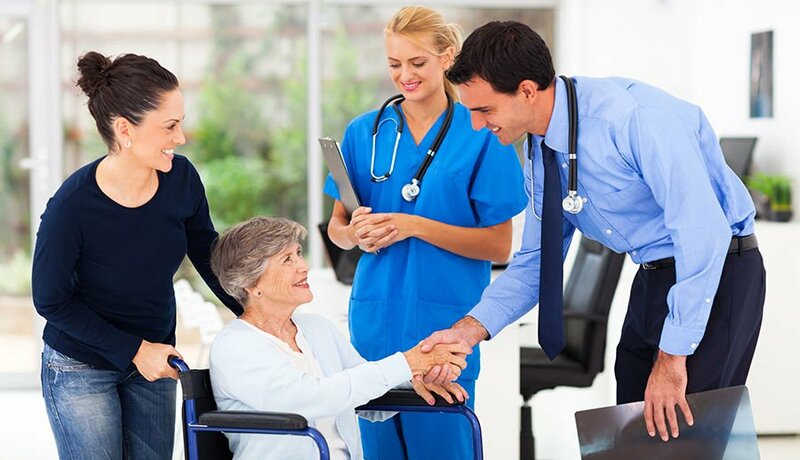 Overall, successful plans eliminate unnecessary use of skilled nursing facilities and focus on recovery in the comfort of the patient’s home environment utilizing home healthcare and outpatient providers. Advanced patient-facing technology is utilized to monitor the patient’s recovery at home alerting the physician to any untoward developments, allowing early intervention to avoid emergency room visits and readmissions. Research has shown that elective procedures such as total joint replacements (as opposed to emergent procedures such as cardiac events) fare better under the bundled payment model. This is due to the opportunity to develop a tailored and detailed care plan for the patient, and the predictability of the surgical interaction and recovery process. Accordingly, the next phase of bundled payments may incorporate the ASC (ambulatory surgical center). This will present surgeons with an even greater opportunity to manage the total episode of care and more directly participate in the proven savings that the ASC has demonstrated in the last two decades. Tom Wilson is Co-Principal of Global 1 and Co-Manager of Convergent SameDay Orthopedic Strategies. Contact Tom Wilson at: tom@globaloneventures.com, (760) 602-7872.